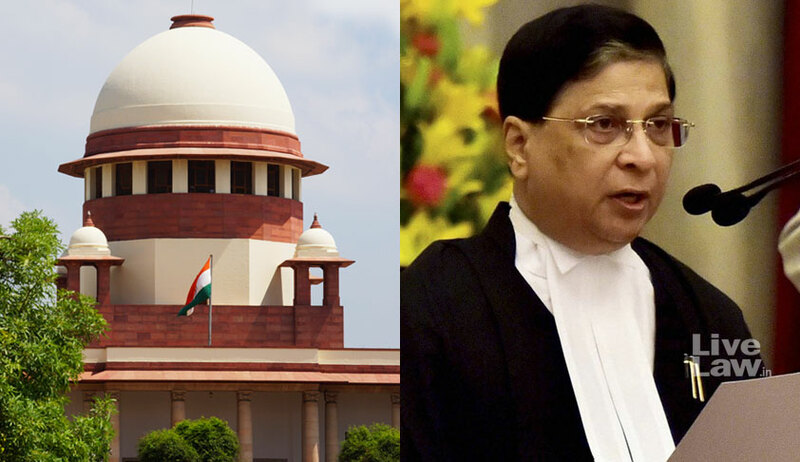 Having introduced a subject-wise roster system in the Supreme Court in February this year, Chief Justice of India Dipak Misra has now notified a few changes in it. The new roster will come into effect from 2 July. Minor changes have been made through the new roster. Simple money and mortgage matters have been taken away from Justice Ranjan Gogoi and Justice A.K. Sikri, and have been handed over to Justice Kurian Joseph. Justice Gogoi has instead been allotted Ordinary Civil matters. Besides, Justice Sikri has also been handed over Indirect Tax Matters; matters pertaining to judicial officers; and matters pertaining to employees of Supreme Court/ High Courts/ District Courts and Tribunals and individual judicial officers etc. He has however been relieved of hearing matters relating to armed and parliamentary forces, as well as eviction matters under the Public Premises (Eviction) Act. The roster change was effected in view of Justice J. Chelameswar's retirement on 22 June, after a nearly seven year long stint at the Supreme Court. With his retirement, the dynamics of the Apex Court collegium are also set to change as Justice A.K. Sikri would become a part of the collegium, which also includes Chief Justice of India Dipak Misra, and Justices Ranjan Gogoi, MB Lokur and Kurian Joseph. The four senior-most Judges of the Supreme Court- Justice Chelameswar, Justice Gogoi, Justice Lokur and Justice Joseph- had held the press conference asserting that the administration of the Apex Court is "not in order" and that many "things less than desirable" have been happening in the last few months. It was further revealed that the four Judges had written a letter to the CJI two months ago, airing their grievances. The primary concern raised in the letter pertained to assignment of matters. While acknowledging that the CJI is the master of the roster, the letter said that this is "not a recognition of any superior authority, legal or factual of the Chief Justice over his colleagues". It then stated that while there are well-settled conventions guiding the Chief Justice in the task, off late such conventions have not been strictly adhered to. We are not mentioning details only to avoid embarrassing the institution but note that such departure have already damaged the image of this institution to some extent," the letter had said. Their grievances were, soon after, supported by the Campaign for Judicial Accountability and Reforms (CJAR), which acknowledged that while the four Judges didn't say it, the assignment of such cases to certain junior Judges was, in fact, done "for achieving a particular result, which in most cases can be seen to be in tune with the wishes of the government". Such attitude, it said, is especially dangerous when the Government is "trampling on peoples’ fundamental rights and constitutional values". It, in fact, claimed that there are numerous such instances of "abuse of the power of the master of roster" and went on to list down such instances. The list began with the decision on the dismissal of its Petition demanding an independent probe into allegations of corruption in the higher judiciary in the medical college bribery case. It, inter alia, also mentioned such roster changes made in the Petition challenging appointment of Special Director, CBI and in another Petition seeking an independent probe into the death of special CBI Judge B.H. Loya, who was hearing the Sohrabuddin Sheikh encounter case. More recently, former Law Minister and Senior Advocate Shanti Bhushan had filed a petition seeking clarification of administrative authority of the CJI as the master of roster. Mr. Bhushan's petition had demanded that the power to list matters be shared with the senior most Judges of the Supreme Court, asserting that the Master of Roster power "cannot be unguided and unbridled discretionary power, exercised arbitrarily by the Hon’ble Chief Justice of India". Enlisting several politically sensitive cases wherein there was a "gross abuse of power" as regards their listing, the petition had prayed for a declaration that listing of matters must strictly adhere to the Supreme Court Rules, 2013 and Handbook on Practice and Procedure and Office Procedure. Arguments have been concluded and judgment has been reserved in the case.